This entry was posted in Randy's blog entries on October 24, 2018 by randy. (This is a slightly unfocused blog post – kind of like our current slightly unfocused times). 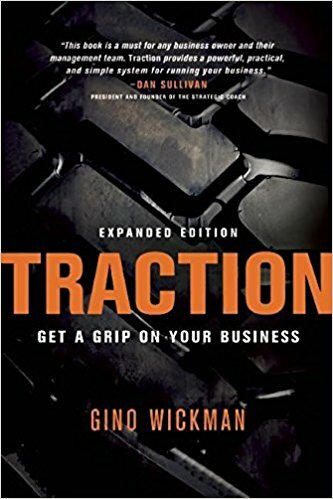 I am presenting my synopsis of Traction next week at the Nov. 2 First Friday Book Synopsis; and today for the leadership team of a top-notch local company. 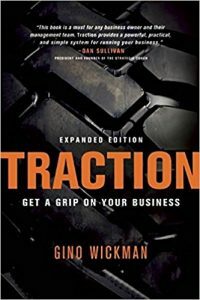 Traction is a book that presents a system for organizational health and growth. It is a true system: do this, and then this, and then this, in this order, consistently, and this good stuff will likely happen. They call it the EOS System (the Entrepreneurial Operating System). And, I’m thinking about some rather massive shifts in our world at the moment. So…one observation is this: we are all feeling a little unsettled. So, what do we do — whether it is in the big picture of what do we do, or in the smaller arena of what do we do in our company, at this moment, when things begin to change? I think that when change is coming, that is exactly when we need a system to help us handle the change. So…back to company issues. Here are some thoughts. If you have a leader, and leadership team, that is studying, and learning, then it is inevitable that they will bring changes to the company. If they don’t, it shows that they are not actually learning. #1 – The leaders will keep learning, and bring about some change(s) – kind of…all the time. #2 – But, at the core, are the core values of a company. A company has to know, and constantly reinforce (teach; re-teach; repeat and repeat) its core values. #5 – A company needs constant communication. In every way, in meetings, in e-mails, in memos, in conversations – the need is to communicate, and repeat, and repeat and repeat, the critical message of your plans. — Your long-term (10 year) plans; your shorter term plans (3 years); this year’s plans; this quarter’s plans. #6 – A company needs clear plans; for this year, for this quarter. (There is research that says 90 days is about right for this). #7 – And, each person within the company needs to have tangible targets to hit in his/her work for the next week, month, quarter. (They might even need a “number” to hit). The book Traction provides such a system. It is not the only system out there; it may not even be the best system out there. But…it provides a very implementable system. At this moment, count me a fan.